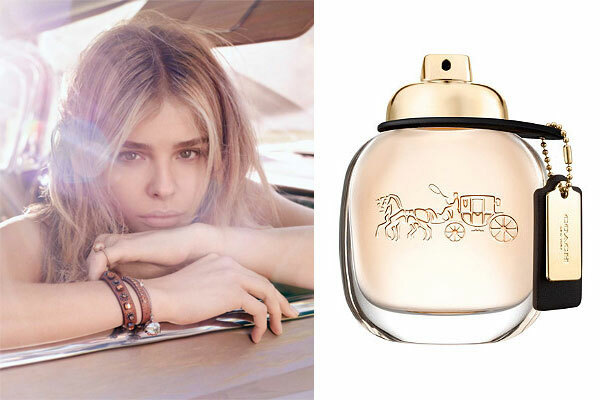 Chloe Grace Moretz for Coach Eau de Parfum, a floral fragrance for women. Created by perfumers Anne Flipo and Juliette Karagueuzoglou, this sparkling and sensual fragrance blends raspberry, Turkish rose, and suede musk accord. Launched in September 2016, the bright and spontaneous perfume is available in eau de parfum spray (1 oz, 3 oz $55 - $95) and body cream (5 oz) from Sephora and Macy's. The fragrance campaign ads were shot by Steven Meisel. Perfume House Inter Parfums Inc.